We have 25 years of experience: Let us answer your questions. You must be overwhelmed with questions after your Texas construction accident. Why not get the answers from a Texas board-certified personal injury attorney? How much will it cost me to hire a construction accident attorney? If you were hurt in a construction accident and your employer will not pay you the compensation you are entitled to, you may need to hire an experienced construction accident attorney. When deciding on which attorney to retain, it is important to understand the attorney fees you will be charged. Generally, attorneys handling construction accident cases, like other personal injury cases, will handle your case on a contingency fee basis. 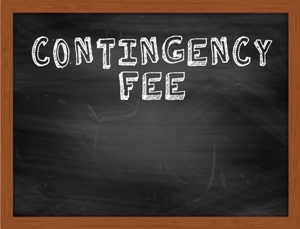 What Are Contingency Fee Agreements in Construction Accident Cases? Your attorney will charge you a percentage of the total amount you receive. He will deduct his attorney fees from the final settlement or trial verdict in your case. Some attorneys will charge a lower percentage if they settle your case without filing a lawsuit than if they must file a lawsuit for you and litigate your case. You will owe the costs associated with your case as well as the attorney fees. These costs generally include medical records, expert witness fees, the fees charged for filing your lawsuit, and depositions. While some attorneys will pay these fees for you and deduct these costs from your final settlement, others will require you to pay them up front. While the cost of hiring an attorney will be a consideration in your decision of who to hire, you do not want this to be the sole factor in making your decision. You want an experienced attorney who is not afraid to take your case to trial if necessary to obtain the compensation you deserve. In addition, many employers in Texas are non-subscriber employers who have opted out of providing workers’ compensation benefits. This is a specialized area of the law, and you need an attorney who handles this type of case if your employer is a non-subscriber employer. Were you injured in a construction accident? Start an online chat today to schedule a free, no-obligation consultation with our experienced construction and non-subscriber workplace accident attorneys to learn how we can help you. Crane accidents are one of the four major risks for construction workers, but why are they so dangerous? Ever since you were nine years old, you knew you wanted to be a construction worker. It wasn’t surprising since your father and grandfather both worked in the field. When you were 10, your dad bought you a working toy crane and you were ecstatic. From that moment on, you wanted to be a crane operator. Although your mother was supportive (as most mothers are about a career you choose when you’re in fifth grade), you could tell she had her reservations. It wasn’t until you turned 17 and got your first job working alongside your dad that she began to seriously voice her concerns. She told your father to look after you and keep you away from the crane. You initially took this as nothing more than motherly worry, until you witnessed first-hand the chaos of a worksite. Workers were running around with power tools, harnesses and hard hats, and anyone not operating a crane tried to keep their distance from it. What’s the big deal? It’s just a machine. If you know how to work it, what’s to be afraid of? According to the Occupational Safety and Health Administration, crane accidents are one of the four major causes of construction injuries and fatalities. In addition to hundreds of minor to severe injuries, the U.S. Department of Labor estimates that an average of 70 fatalities occur each year on construction sites due to crane mishaps. Buckling or collapsing. Cranes have weight limits for a reason. To ensure that a crane will not tip over from being unbalanced, limits need to be obeyed. When the maximum weight is exceeded, the crane could buckle or the boom could collapse. Contact with overhead power lines. Electrocution from contact with overhead power lines is a leading cause of crane-related accidents due to the height and maneuverability of the crane arm. Improper crane assembly. One of the biggest reasons that a boom collapses is improper assembly. If the crane’s load is unbalanced or does not have the proper blocking to stabilize the load, it may move, wobble, shake, bend or break. Mechanical failures. Routine crane maintenance should be followed to prevent accidents due to mechanical failure and worn parts. Improper operator training. Operators who aren’t properly trained in safety protocols or lack the confidence needed to adjust operation during times of uncertainty can increase the risk of crane accidents. Make sure your family, friends, and coworkers are aware of the dangers they face when working with cranes. Construction work is dangerous enough without the added risks of being ill-informed. Use your social media to share this page on Facebook, Twitter, or Google+ to help them get the information they need to stay safe. You can also tell them to contact us directly to discuss any potential questions or concerns they may have about a recent accident. Remember, they may not know their risks until it’s too late. Need more information about construction accident injuries or claims? Like us on Facebook or follow us on Twitter for periodic updates, stories, and legal advice. How can I prove that someone's negligence caused my construction accident? Who is most at risk for having an accident on a construction site? Construction sites aren’t exactly known for their safety, which is why helmets, steel-toed boots, and other protective gear are often required. However, despite their best efforts, hundreds of workers are killed each year. Texas has more construction deaths annually than any other state. Lack of unions and a state-controlled safety commission could be partly to blame for this tragic fact, but finding out if you are in a high-risk group could help save your life. Who Is At Most Risk for Getting Hurt? Men. A majority of those who are injured on construction sites are men. However, this is likely due to the industry being predominately male. Those who work up high. Workers who spend time on scaffolds, ladders, buildings, and other high areas are most at risk for falling and suffering fatal results. In fact, falls are the leading cause of construction accident deaths. Construction laborers. Among occupations in the construction industry, those in construction labor typically suffer the most deaths. Carpenters and roofers are next. You work hard to provide for your family. When you become injured on the job, someone should work hard for you. The legal professionals of The Hart Law Firm want to help you fight for your rights and get the financial compensation you deserve that could help pay for medical bills and time lost away from work. Contact us today to speak with a lawyer about your situation and begin to move on with your life. How can I prevent a machine injury when working in construction? Since you’ve started working in construction, your friends and family have been constantly worried about you getting into an accident. You’ve told them repeatedly that you’re always cautious and work within the safety guidelines. However, every week someone brings up the fact that construction machinery is extremely dangerous and that you better be careful. Although you’re sure that you make a conscious effort to stay safe, are there any other precautions you can take to protect yourself, as well as give your loved ones peace of mind? You know that your risks for injury increase when working around construction machinery, but is there anything you can do to decrease these risks? The Occupational Safety and Health Administration (OSHA), believes that the use of heavy machinery is one of the most dangerous aspects of construction work. The Bureau of Labor Statistics estimates that more than 500 workers a year die, and thousands more are injured by machine accidents—making them responsible for 88 percent of all construction injuries. According to research performed by OSHA, 30 percent of these injuries occur when workers attempt to remove broken objects that have become jammed inside a machine. Machine cleaning accounts for another 29 percent of injuries, and machine malfunctions and operating errors account for the remaining 41 percent. The majority of these accidents may be able to be prevented with proper safety protocols. Unfortunately, many workers are either not aware of these guidelines, do not understand the importance of machine safety, are oblivious of their risks when they ignore protocol, or otherwise don’t care about proper procedure. This is why it is important to not only learn how to be safe for yourself, but to also share the information with your co-workers to make sure they protect themselves and consequently keep you safe as well. Make sure your machinery is up-to-code before using. Heavy construction equipment and machines should be properly maintained on a daily basis and should be assessed for safety every three to six months. Turn machinery off when not using. Even if you’re only adjusting a part or removing debris, it is still important to make sure the machine is off. Make sure all moving parts have stopped before approaching the machine to clean or perform maintenance. Even when a machine is turned off, it may take several moments for the gears to come to a complete stop. Stay alert when operating machinery. If the equipment seems faulty, sluggish, or jerky, turn it off immediately and have it checked for any problems. Work in teams. Watching out for one another and staying alert to possible problems can help provide adequate warnings and safer navigation to help prevent injuries. Although taking these precautions will greatly reduce your risk for an injury, regrettably, accidents can still occur. If you’ve been injured in a construction machine accident, you may be able to receive compensation for your injuries. Call us today for a free consultation and evaluation of your accident. Don’t allow someone else’s negligence affect your future. See how we may be able to help get you the money you need for treatment, care, and damages, as well as the justice you deserve for your accident. It’s your life—let us help you get back to living it! Call now. Who Is Responsible After a Construction Accident Injury? Unfortunately, it is not uncommon for negligent individuals to deny the part they played in your injury. With a lot of money, their reputation, and possibly even their job on-the-line, people will say or do anything they can to avoid taking responsibility for their actions. We know that proving negligence is the last thing you want to deal with as you heal from your traumatic accident, and that's why as construction accident attorneys—we are always ready to help you. Texas leads the nation in work-related accidents, which unfortunately, means we are no strangers to construction accident cases. The Hart Law Firm knows exactly what to look for to prove negligence after a construction accident and will work tirelessly to ensure you receive a fair settlement. If you know someone who was recently injured on a construction site, please feel free to share this article with them. How can I find out what my legal options are after a construction accident in Texas? The number of potentially responsible parties. Construction sites are usually bustling with different crews, contractors, and individuals, and responsibility for accidents could fall on any of those parties as well as property owners, employers, and even equipment manufacturers. From the very start, this adds many layers of complication to injured victims’ claims, and many more chances to jeopardize your rights without more information. Unclear answers about workers’ compensation. Many workers believe that workers’ compensation will cover any injuries that take place at work, but what if your employer doesn’t carry workers’ compensation, your injuries aren’t covered, or your claim is very complicated? There are many ways to approach construction accident claims, and you might be surprised at some of the options that are available to you beyond workers’ comp. As a result of the often complicated legal landscape after an accident, many workers who are injured on Texas worksites aren’t sure what their legal options are or even how to find out. This is exactly why our Colleyville office offers a free consultation to injured construction workers and their families. Because determining your options depends so much on the fine details of what happened and who was involved, getting an attorney involved means that you are able to get clear information about every legal option available to you, quickly and without risk or obligation. If you work in the Dallas-Fort Worth area and have questions after a construction accident, don’t hesitate to reach out to our team today for immediate answers. You can reach our Colleyville office by calling 817-380-4888, filling out the contact form on this page, or emailing our team directly.